... to hold decades of memories. Growing up, one of my favorite things to do at home was look through our family photo albums that were so lovingly created by my mom. My sister, brother, and I have looked through them countless times, always pointing out our favorites and retelling stories, as if we didn't experience them together. With every year that passed, those albums became more of a treasure. Today is one of those days I wish I could cozy up on the couch with a blanket and walk down memory lane with my siblings. As usual, we'd comment on Gary's long eyelashes, Summer's early obsession with Dr. Pepper, and my speech impediment. I've also been reminded that I need to be much better about printing and organizing the thousands of digital photos on my external hard drive! Take the time to cherish today. Before you know it, it will be your past, and you'll want to look back on it fondly. We do the same thing at my great-grandmother's house! Her photos aren't as organized as these are, but instead in a huge box that we look through. Looking at pictures from the 1930's is so cool! I totally agree! My mom has tons of albums that hold such precious memories. I've started trying to print off some of my photos but I'm doing very good. I hate that about the digital world, you lose those memories on hard drives. 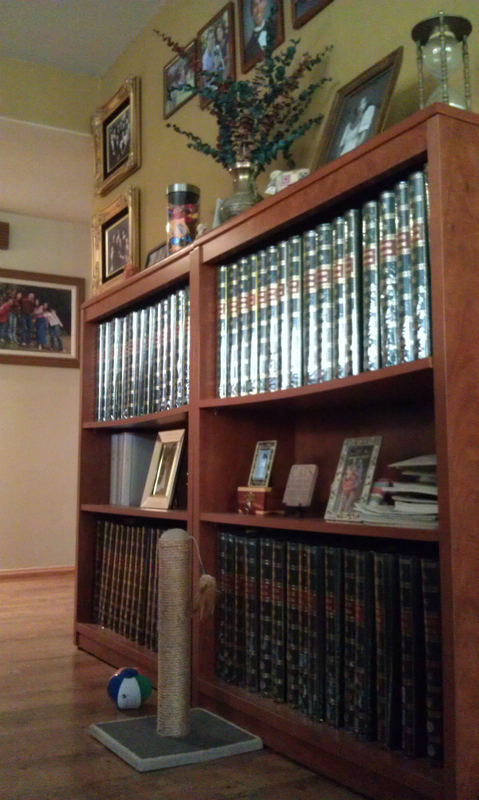 I've always wanted to own a house with walls just lined with bookcases housing tons of memories. My friends and I (who moved to another country and had to leave everything behind) were talking the other day about how books and stuff really represent a time in our lives and that's why we collect them.